A lot of households today survive without having a helper around but this is no easy task. Aside from time management and housekeeping skills, homemakers also need efficient cleaning solutions to get the job done. This is why I was glad to learn about BubbleMan Dishwashing Liquid. We don’t have any helpers around the house so I am literally “hands on” when it comes to managing the household. One of the things I really hate is washing dishes with oil and grease or “sebo”. It usually takes me two to three washes just to get rid of it especially in Tupperware or plastic dishes. I have tried several brands of dishwashing liquid hoping to find one that will make my job easier. 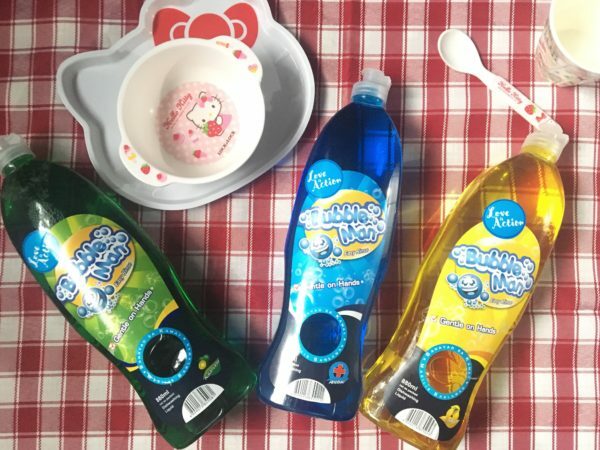 Recently I got to test another brand that proved to be helpful in dealing with tough grease, the BubbleMan Dishwashing Liquid. 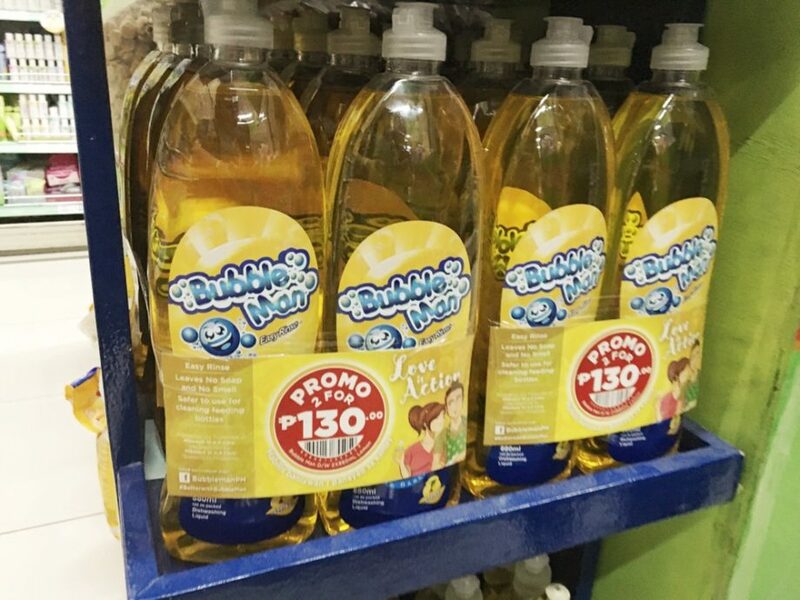 BubbleMan is a proudly pinoy made dishwashing liquid sold in major retail outlets. What I like about it is that its eco-friendly, economical and efficient. The chemicals used for the product are non-toxic, biodegradable, and phosphate-free. They are also gentle on the hands and safer compared to other products in the market. I found it to be very effective in removing oil and grease residue even in plastic dishes. It is also easy to rinse so I also save on water consumption. Another plus is that it is safe to use for washing baby bottles so moms need not worry about their child’s safety. 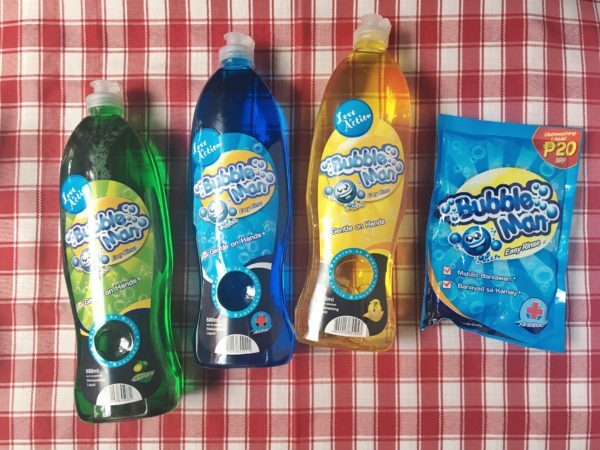 In terms of pricing, BubbleMan Dishwashing Liquid is one of the most affordable in the market. This is because it’s effective even at 3% dilution. Meaning you can wash more with just a little amount of liquid. I also love the fragrance of BubbleMan. It has a pleasant scent that doesn’t linger on your dishes and utensils. For my final verdict, I find it to be an efficient cleaning solution not just for dishes but also for toys and other stuff around the house. Previous Post: « Not to Be Taken Literally: What Is Classified as a Non-Alcoholic Beverage?